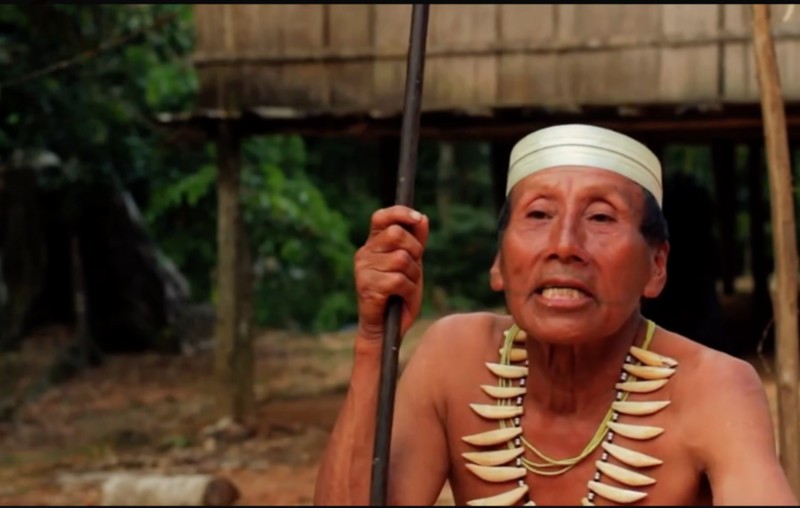 Salomon Dunu, a Matsés man who survived the trauma of first contact, speaks to a Survival campaigner about the threat of oil exploration to his people. A video of Salomon has been seen by over 4 million people through Survival’s Facebook page. A Canadian oil company has told Survival International it will withdraw from the territory of several uncontacted tribes in the Amazon where it had been intending to explore for oil. The company, Pacific E&P, had previously been awarded the right to explore for oil in a large area of the Amazon Uncontacted Frontier, a region of immense biodiversity which is home to more uncontacted tribes than anywhere else on Earth. It began its first phase of oil exploration in 2012. The move follows years of campaigning by Survival International and several Peruvian indigenous organizations, including AIDESEP, ORPIO, and ORAU. ORPIO is suing the government over the threat of oil exploration. Thousands of Survival supporters had protested by sending emails to the company’s CEO, lobbying the Peruvian government, and contacting the company through social media. Survival also released an open letter, protesting against the threat of oil exploration, which was signed by Rainforest Foundation Norway and ORPIO. Sustained campaigning helped bring attention to the issue within Peru and around the world. 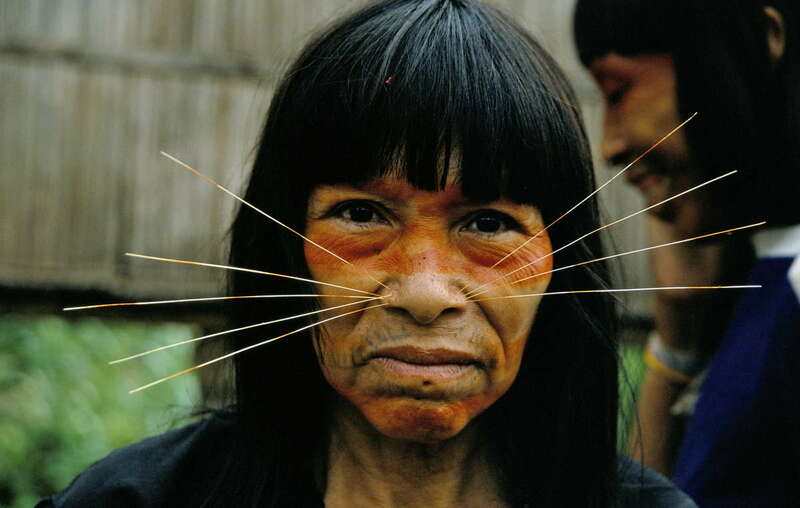 The Matsés have been dependent on and managed a large area of the Amazon Uncontacted Frontier for generations. Oil exploration involves sustained land invasion which can dramatically increase the risk of forced contact with uncontacted tribes. It leaves them vulnerable to violence from outsiders who steal their land and resources, and to diseases like flu and measles to which they have no resistance. The announcement that it was not going ahead was welcomed by campaigners as significant in the fight to protect uncontacted peoples’ lives, lands and human rights. The region includes the Sierra del Divisor, or “Watershed Mountains,” a unique and highly biodiverse region known for its cone-shaped peaks. ▪ Oil block 135 is within the proposed Yavarí Tapiche indigenous reserve. Peru’s national Indian organization AIDESEP has been calling for the creation of the reserve for over 14 years. ▪ Part of the oil concession is within the newly created Sierra del Divisor national park. The Peruvian government had awarded Pacific E&P rights to explore within the park. ▪ The Yavarí Tapiche region is part of the Amazon Uncontacted Frontier. 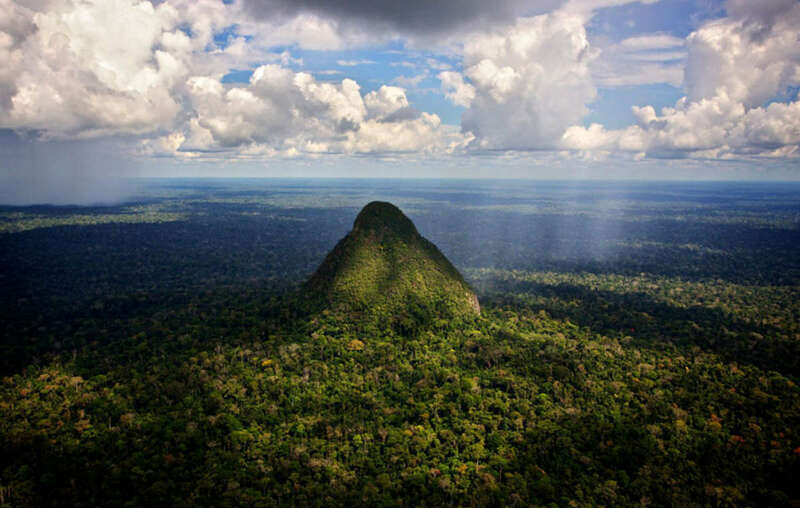 This area straddles the borders of Peru and Brazil and is home to more uncontacted tribes than anywhere else in the world. ▪ Peru has ratified ILO 169, the international law for tribal peoples, which requires it to protect tribal land rights. 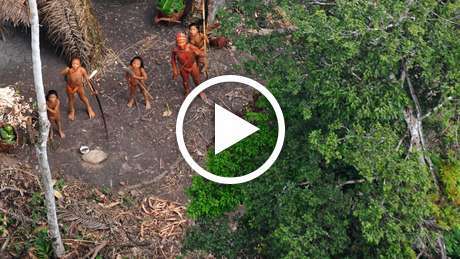 ▪ We know very little about the uncontacted tribes in the area. 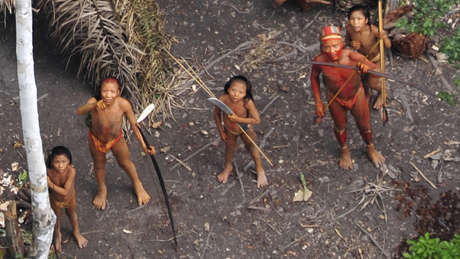 Some are presumed to be Matsés, but there are other uncontacted nomadic peoples in the region. 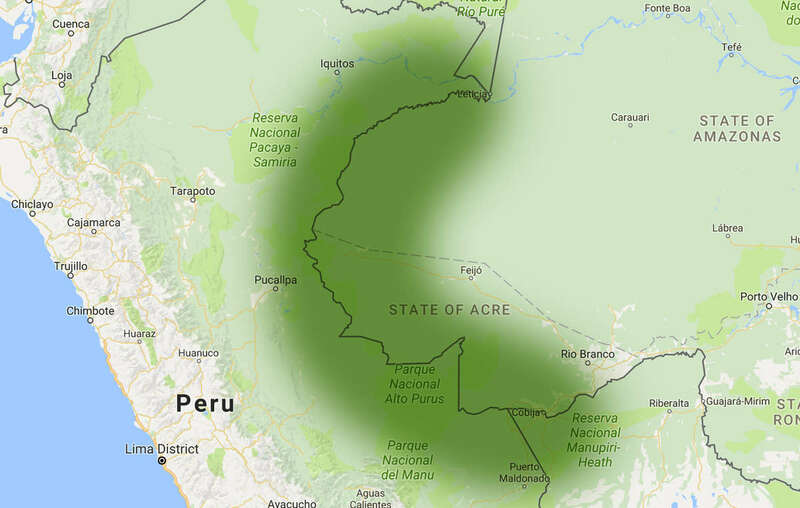 The Amazon Uncontacted Frontier, a large area on the Peru-Brazil border that is home to the highest concentration of uncontacted tribes in the world. All uncontacted tribal peoples face catastrophe unless their land is protected. Survival International is leading the global fight to secure their land for them, and to give them the chance to determine their own futures.